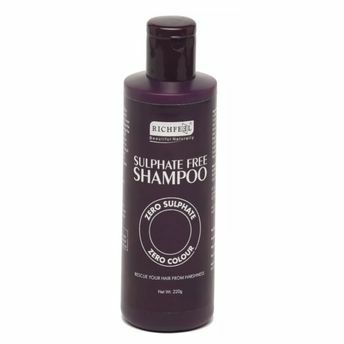 Sulphates are the damaging foaming agents in most shampoos that clean hair but also dry the scalp and damage the hair structure. Rescue your hair from further stress by using Richfeel Sulphate-Free Shampoo. We encourage effective cleaning without violating your hair’s natural moisture. Explore the entire range of Shampoo available on Nykaa. Shop more Richfeel products here.You can browse through the complete world of Richfeel Shampoo .